Across almost every industry, digitization and automation are changing the way we do business, connect with customers and perform our jobs. Arguably nowhere is this more true than in healthcare, where new technologies are making processes safer and more efficient than ever before. As the industry as a whole continues to look for avenues through which it can cut costs, reduce waste, and improve throughput, automation is taking center stage as a means to achieve all three initiatives. At its core, automation is defined as the use of a computerized machine to perform a function typically controlled manually by a human. In the healthcare field, this often means using a robotic mechanism to mimic what a traditional doctor or nurse on staff might otherwise do, saving both time and money in the long-run. 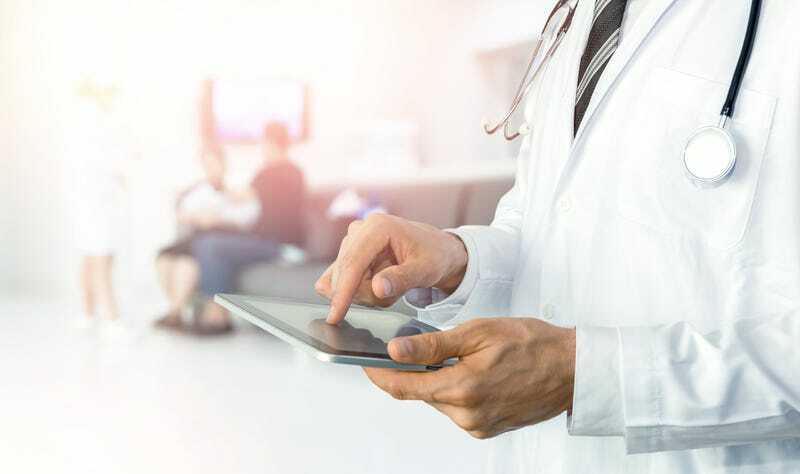 Let’s take a look at five big benefits that healthcare organizations can reap by implementing automation into their best practices today. 1. Less money spent on labor. The concept is simple. The more functions that an automated machine can accomplish, the less need there is for a critical staff member to manually take the time and perform that labor-intensive task. From administrative tasks such as accounting and scheduling to more patient-specific duties including controlling and dispensing medication, technology is taking the legwork (and the potential for human error) out of the equation, thereby freeing up staff members to perform more essential roles. In the healthcare field, an increase in automation doesn’t necessarily mean a decrease in staffing numbers. Rather, it means that staff can now focus on elevated roles, boosting productivity overall. 2. Improved quality of products and services. As aforementioned, any time a task is performed manually, there is room for mistake and human error. In some fields, a typo doesn’t matter as much. Yet, in the medical field, it could have drastic consequences. Imagine, for instance, if the prescribed dosage of a medication was off by just one number. To this end, automation helps ensure that end products maintain a high level of quality and consistency. In fact, one study found that automating some key processes in a Texas hospital reduced the number of medical complications and deaths the facility experienced. By their very nature, manual processes are mostly paper-based. From spreadsheets and memos to three-ring binders full of documents, it’s not uncommon to see offices filled to the brim with overstuffed filing cabinets. If all of that data was automated or moved over into a cloud storage system, the amount of future waste created would be dramatically reduced. Making such a transition also improves doctor-patient communication. Rather than calling a patient and trying to receive required information, the medical professional can simply log into an online patient portal and access all the data he needs. When a nurse is working with manual systems and recording everything down on paper, he or she can only work with a set number of patients at a time. Alternatively, if automation is utilized, the time spent on each patient can be reduced, therefore freeing up the nurse to see as many people as possible. As a result, wait times are shortened, customer satisfaction is boosted, and the potential for employee burnout is reduced. This improved flexibility means you don’t have to ramp up your staff on-call when patient volume is high, then scale it back when it dips down. Rather, you can establish a more standardized schedule that helps keep everyone on track and on time. 5. More intelligent, data-centric analytics. A major part of effective healthcare is knowing how to predict future outcomes. This type of research is critical to helping doctors understand how to prescribe medication, what new technologies to invest in, and how to diagnose a range of illnesses. When automated technology is present within an organization, this system can deliver data-rich insight to end users based on real-time information. Medical staff can review these reports and glean ways to improve both performance and the program alike. Over time, this helps the entire system become more efficient and productive, and ensures a high ROI. Ultimately, automation and the healthcare industry can (and should) go hand-in-hand. With patient lives in their hands, the more streamlined and organized that doctors and nurses can become means a healthier outcome for everyone. While not every task needs a makeover, it makes sense to move over those that do fit the bill. Doing so can be the first step toward a more productive workforce that caters to the needs of every patient, every time.